An overview of all Netflix Military Dramas movies and series. 11 titles were found. This overview contains all Netflix Military Dramas movies and series. Netflix's content is updated with several new Military Dramas movies and series every month. Currently, the best rated title in this category, with a rating of 4.05, is Sharpe's Challenge. 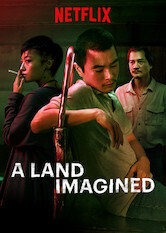 In this disquieting tale, a soldier suffers a crisis of conscience when the men on his patrol murder a Vietnamese girl and then cover up the crime. Savage civil war and a dispute over humanitarian assistance threaten to unravel a checkered romance between an aid director and a doctor. Word that a local maharaja is threatening British interests sends swashbuckling hero Richard Sharpe on his most dangerous mission yet. Sharpe and Harper run afoul of a dangerous bandit leader while traveling with a disparate group of soldiers and traders to Madras.